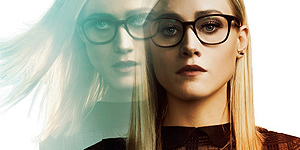 The gallery has been updated with screen captures and additional stills from the newest episode of “The Magicians” 3×06 – Do You Like Teeth? as well as with stills from the upcoming episode 3×08 – Six Short Stories About Magic. 0232 x Television Shows > The Magicians > Season 3 > Episode Screen Captures > 3×06 – Do You Like Teeth? 0005 x Television Shows > The Magicians > Season 3 > Episode Stills > 3×06 – Do You Like Teeth?